This week I needed a smile to cheer me up from all the rotten weather. 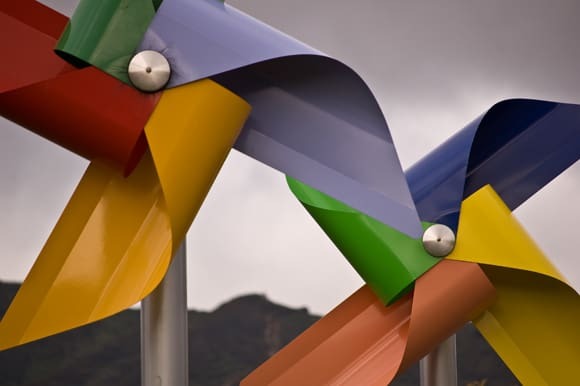 What better to go seek out the Smiling Windmills in Avalon Park, Lower Hutt. 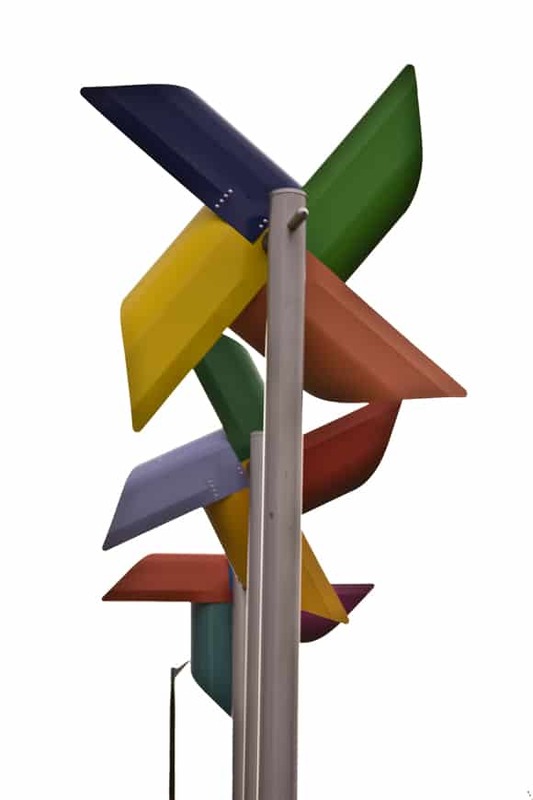 This are colourful wind sculptures I’ve driven past several times en route to a client office but never had my camera ready to snap. 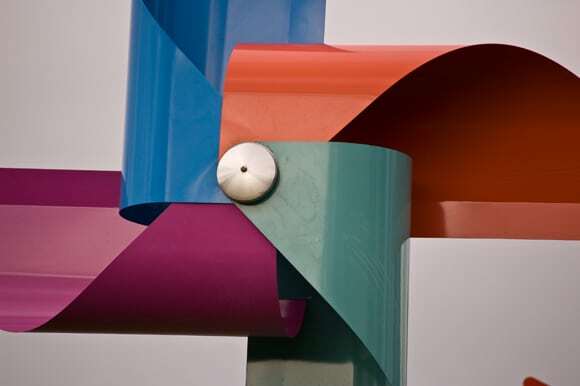 The artist is Leon van den Eijk and here’s what he said about this installation. As a child growing up in Holland, was to me, exciting and full of joy,the clouds, the rain, sea and nature played with us. A simple windmill on a stick from the fairground. The run home through cobbled streets holding it high for show and best effect. Wedged outside my window overnight I listened from my bed for its swishing clickety clack between the droning of urban noises. It made me smile, this joyful symbol of paper engineering. My work has always been about celebrating the positive. Irksome Wind is an adult thing. In this work “The Smiling Windmills” I wanted to recall my childhood and the joy wind gave me and to share it with everyone as a positive source of energy. It’s not hard to see where he was coming from . This sculpture is fun. The only downside was that for once there was very little wind and they didn’t spin around for me. It did at least make it easier to take their picture. These massive windmills really cheer up what might otherwise be a pretty dull place. 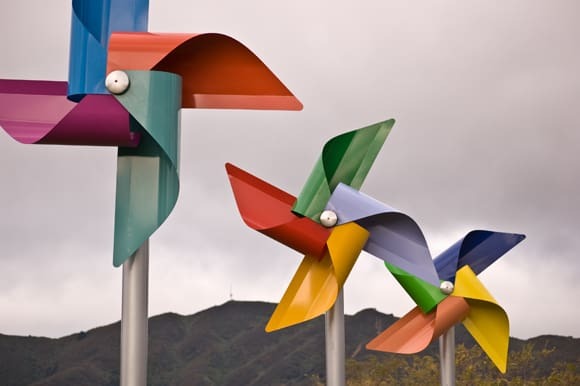 I wonder if the wind turbine generators were as colourful people would see them as such an eye sore? I think you’ve hit on a great idea for wind turbines. If they painted the vanes with stripes they’d look really good when they got up speed. I love that first photo. There’s something about the colours that makes it feel like a gigantic storm is just over the horizon. But that’s NZ, I guess. Fabulous photographs and they would certainly put a smile on my face on a blustery day.